We have a few days to go before America decides whether to continue forward, or drown, under a “blue wave”. Fictional Progressive fantasies like the Creature Kavanaugh and Trump/Russian collusion have disappeared only to be replaced by Liberals who scream about free healthcare, white supremacy and Republican anti-Semitism. Void of a soul and searching for a voice to lead them out of their land of lunacy, the Democrats lurched from one created catastrophe to the next in search of their mantra to “never let a good crisis go to waste”. Ah the brilliance of Rahm Emanuel continues to cost Chicago citizens their lives. Then again they are the ones voting for the crisis contaminant. Attempting to remain relevant, the lame-duck Speaker of the House forged ahead, in his quest to say stupid things and in general be the Liberal known as Paul Ryan. Speaking of saying stupid things some “actor” I’ve never heard of decided to state that, “there will be blood in the streets if Democrats lose”. I could be wrong but aren’t all of these people already supposed to be in Canada? It appears the Democrats are panicking and are now saying virtually anything that pops into their addled, rattled and cattled traps. Speaking of animals that travel in packs another Lib decided to open his maw. Lo and behold Senator Spartacus again arrived on the scene to impart more liberal “wisdom” on us poor peasants. Whorey Corey made the statement “we need to understand that words matter” after the Pittsburgh Synagogue shooting. Thanks genius, although it finally looks like the groper got one right. Words do matter and a friend of his has called for the murder of JEWS many times. This friend of Corey is also a friend of Keith Ellison and Barack Hussein Obama. Their friend’s name is Louis Farrakhan and the Sunni Muslim has been calling for the murder of cops, whites and Jews for quite a while now. Could you imagine a white Jewish police officer??? I’m guessing Barry and Louie would have to have their Pampers changed. Farrakhan has made his hatred of the Sons and Daughters of Abraham quite clear yet we’ve never heard a peep from Ellison. We’ve never heard even a whisper from “Words Matter” Booker either. Obama basically winked and nodded for eight years yet somehow this is all the fault of the man who moved our embassy to Jerusalem. Sharia supporter Maxine Waters called for Democrats to get in the face of Republican politicians. One of them actually shot and almost killed Steve Scalise. Eric Holder told Democrats to kick them. I guess he ran out of an access to guns to run through our Southern border. Hillary (Soon to be the Democratic Presidential nominee for 2020) Clinton stated that, “Civility” can only begin after the Democrats take back either the House or the Senate. How civilized of a woman who “jokes” about black males all looking alike. So until then I guess it’ll be a brawl on the boulevard or if Farrakhan has his way “cops, crackers, and termites” will be stacked in the streets. It appears someone’s bow-tie is a little too tight. So tight in fact it is cutting off the blood to his brain and appears to be doing the same to the Democrats. Liberal lunacy was found on Fox News as Shepard Smith stated “There is no invasion” happening at the border. Clinton, Bush and Obama made it worse and the invasion that, “Isn’t happening now” is the primary reason Donald Trump was elected. I wonder how ol Shep thinks all those Dreamers got here? He need only ask Chris Matthews. Probably the most sober statement Matthews has ever made. If all that isn’t enough, and it should be, we have now received reports that under the Obama regime (2009-2013) dozens of American spies were killed due to “leaks” coming from Google. Yep, the same Google that’s been molesting their employees so much a “walkout”ensued. American men and women putting their lives on the line to gather incredibly important intel were murdered years ago and we are just finding out about it now. These “leaks” were “found” by none other than Obama’s favorite country. I could write about the multiple connections to Iran both Obama and Valerie Jarret have but very few Liberals will care as it appears two of the many goals of the Progressives is to overthrow these United States and kill as many Jews as possible along the way. I will say this to my American Brethren who practice Judaism. For too long many of you have voted Democrat. The Party you have pledged your blind loyalty to have embraced CAIR, Hamas, the Muslim Brotherhood and the aforementioned Farrakhan. Stop listening to pseudo-intellectuals like Alan Dershowitz. His “interpretation” of the United States Constitution is like the weather in San Francisco. It changes every twenty minutes. It appears too many of you are unwilling to see the truth so I will lay it out clearly. Islamists want you and your children slaughtered and they, along with La Raza, have overtaken the Democratic Party formerly known as the Ku Klux Klan. Perez, Ellison, Sarsour, etc., own the DNC. Break away from Soros, Steyer, and Bloomberg. Join your fellow American Brothers and Sisters who proclaimed long ago to “Never Again” vote Democrat. So here we are with days to go before the “biggest election of our lives” happens AGAIN and I will lean on the poetry of one Steven Miller. Clowns to the left, Jokers to the right, here I am, stuck in the middle with you. Just where we are supposed to be. In the middle of it all, vocalizing, sweating, swinging and bleeding if we must to ensure that Freedom continues forward in the only way it will. 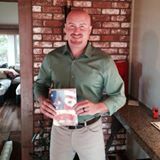 Tagged #AmericaFirstAmericanOnly, #FreedomFirstFreedomOnly, jason kraus, One voice at a time, Shoulder to Shoulder. Bookmark the permalink.